If your hair is thinning due to age or a medical condition, adding color can give you a bit more volume and dimension. Even if you have naturally fine and limp locks, hair coloring breathes new life into hair. Why? 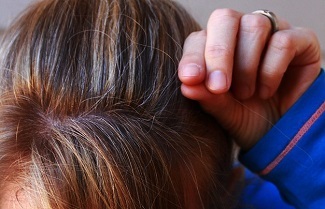 Coloring damages the hair shaft. The plumping of the shaft can make hair temporarily thicker and add body. Lighter colors, those with bleach added, damage the shaft a bit more than straight color. This is why highlights often increase the “dimension” of a hairstyle. Coloring is a more economical solution than Rogaine® or another hair regrowth solution. Low lights and strategically placed highlights can help you transition through the graying and thinning of your hair with confidence. If you’re dealing with thinning or aging hair that could use some oomph, contact me. I respect my client’s privacy and understand how frustrating hair changes can be. Let me help you love your hair.